 Ayres Hotel Chula Vista provides convenient, delicious drinks-and-dining options that are sure to satisfy. Mornings begin with a complimentary hot buffet breakfast, including a cooked-to-order omelet station, crispy bacon, waffles, seasoned potatoes, juices, and more. Later in the day, the pool bar offers the perfect place to enjoy the Southern California sunshine and the cool evening breeze. Located in the lobby, The Winner’s Circle is the perfect place to enjoy a delicious bite or refreshing drink. You’ll find a full bar, as well as eight taps for San Diego beers. An upscale menu of light bites is also available, with flatbread pizzas, salads, burgers, and vegan options, all showcasing local ingredients. Whether you’re watching a game, catching up with old friends, or satisfying your inner-foodie, this convenient spot doesn’t disappoint. When you’re ready to explore the local dining options, you’ll find plenty of tempting restaurants close by. Starbucks, Jamba Juice, and local favorite Board & Brew are right outside, while Otay Ranch Town Center (half a mile away) holds a wide range of eateries, including The Cheesecake Factory, PF Chang’s, Karina’s, Panera Bread, Nestle’s Toll House Cafe, and more.